We can’t deny the fact that we’ve already hurt each other many times. Unintentional or intentional. Petty or serious. We’ve uttered curses, shouted in anger, hung up on each other. We’ve felt disappointments and there are issues that are yet to be mended. There have been so many attempts to give this up. To let go and to never see each other again. We’ve tried to part ways and we’ve gone too far. 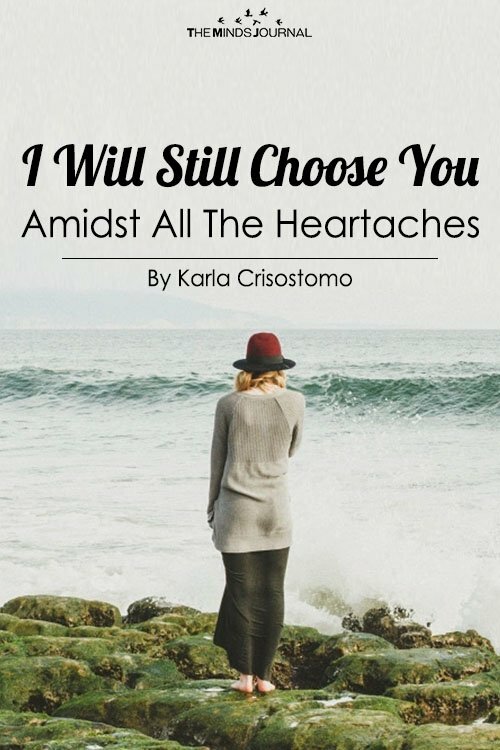 But after all, amidst all the heartaches, I will still choose you. I didn’t just fell in love with you. I have loved you on purpose. I have loved you because I wanted to pour out my affection on you. Yes, it started with attraction. Yes, it started with admiration for the things you do and qualities you possess. But once I’ve loved you, it’s become an everyday choice for me. Even when the attraction gets loose. Even when there’s no more thing to admire. 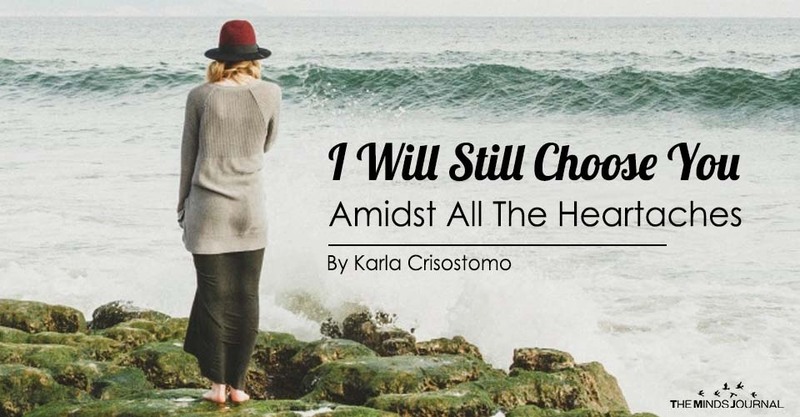 Choosing to love you means choosing to win a battle. It means choosing to finish a race with you. A race that we won’t stop running for just because we got tired and lost the fire.